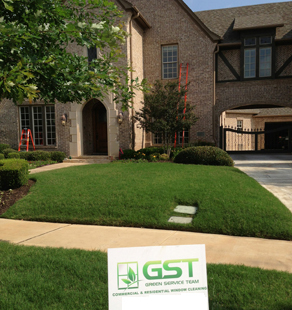 Green Service Team (GST) is an environmentally friendly, Dallas-Fort Worth (DFW) based, owned and operated company that guarantees the best customer service in industry. As a division of J Gonzales Management Company LLC, we only hire employees that maintain a solid work ethic, strong communication skills and a service mindset with an attention to detail. Our employees are very skilled at what they do and most importantly are safety trained and fully insured. We have very high standards throughout our company and are dedicated to exceed your expectations from start to finish. We use only state of the art equipment and as always, eco-friendly products.